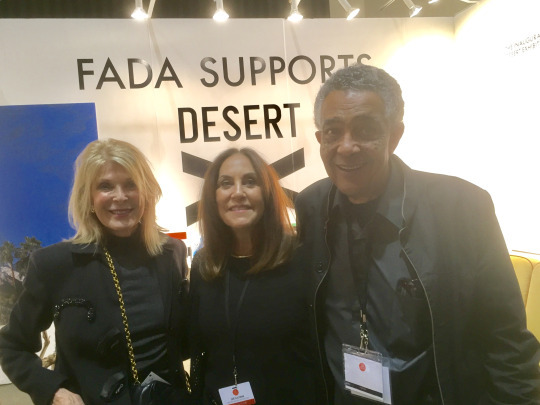 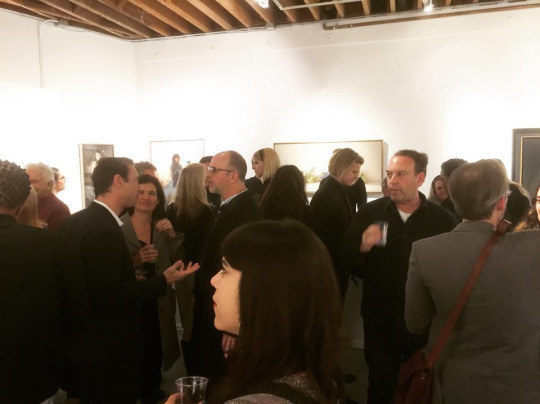 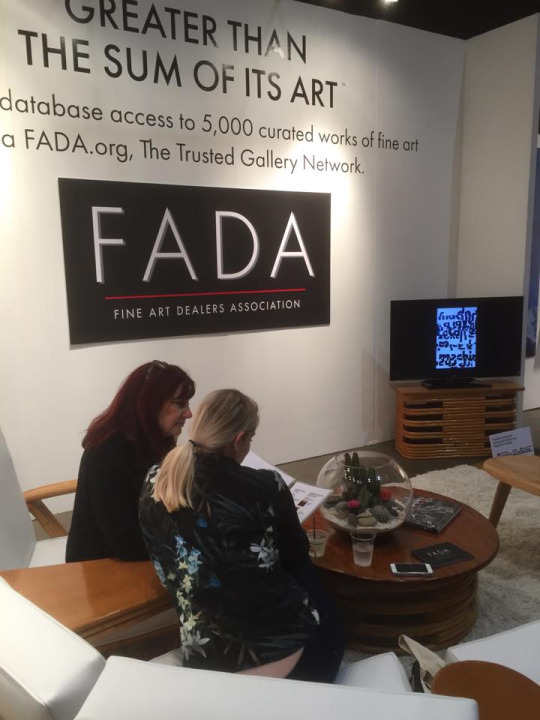 The Fine Art Dealers Association (FADA) brought a tease of what’s new for the organization at the 2017 LA Art Show. 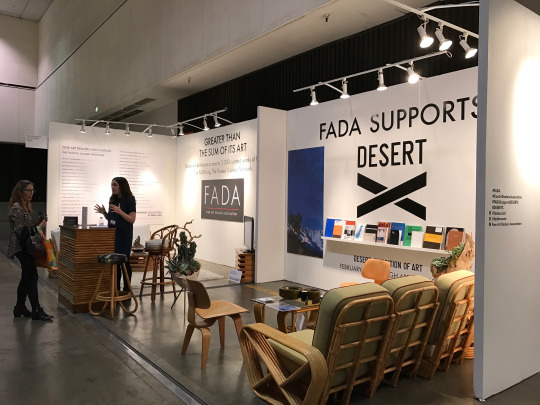 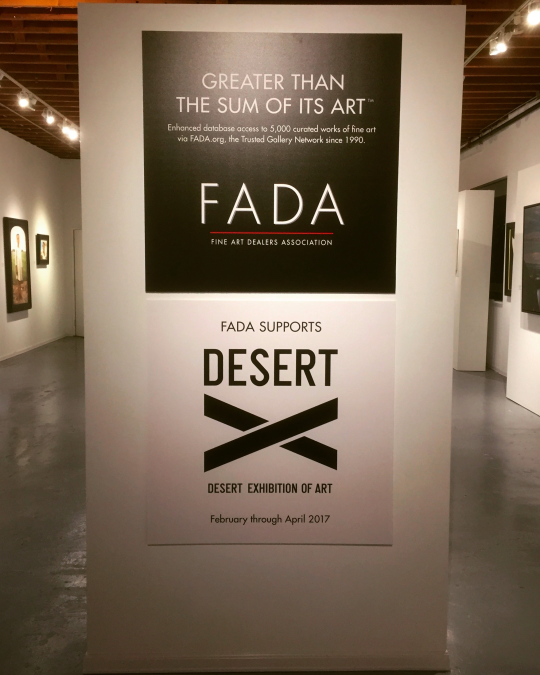 In the Booth they featured FADA’s rebrand: new logo, headline and enhanced searches for the informed art collector as well as a slideshow of inventory from FADA’s Member Galleries. 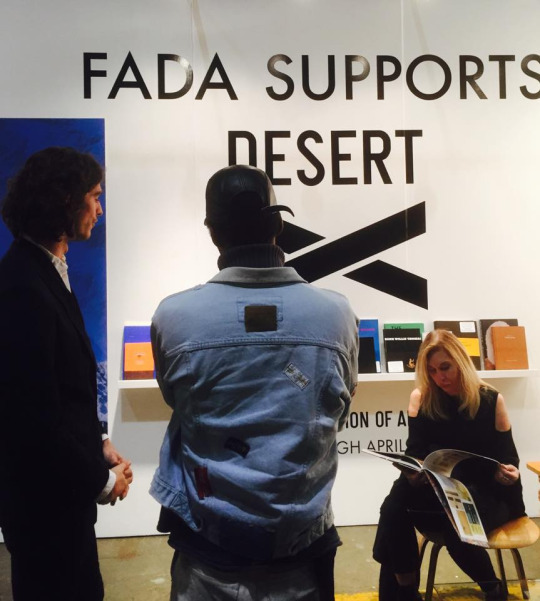 OPENING NIGHT: Lois Esformes, FADA Executive Director Jane Glassman and Artist Fred Eversley LA Art Show visitors browse the inventory of FADA Galleries In anticipation of the inaugural site-specific contemporary art exhibition Desert X opening next month at sites across the California desert, FADA, a Desert X Founding Member, presented a mock reading nook to browse the catalogues of the exhibition’s invited artists amidst a desert-inspired backdrop. 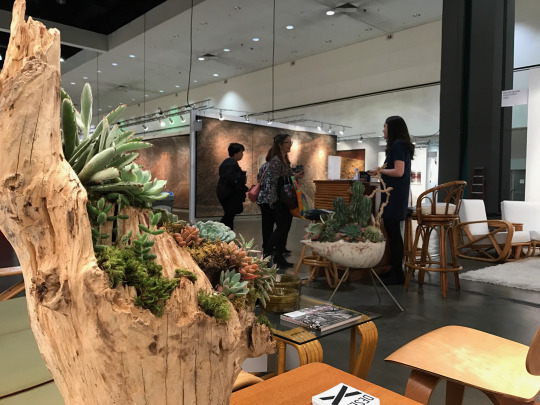 Plants in Bloom at Booth #1004 LA Art Show Visitors Mingle in the Reading Nook In continuation of 2017 LA Art Show festivities, the Fine Art Dealers Association hosted a cocktail reception at Member Gallery, Arcadia Contemporary in Culver City, for FADA Friends and Desert X Supporters.